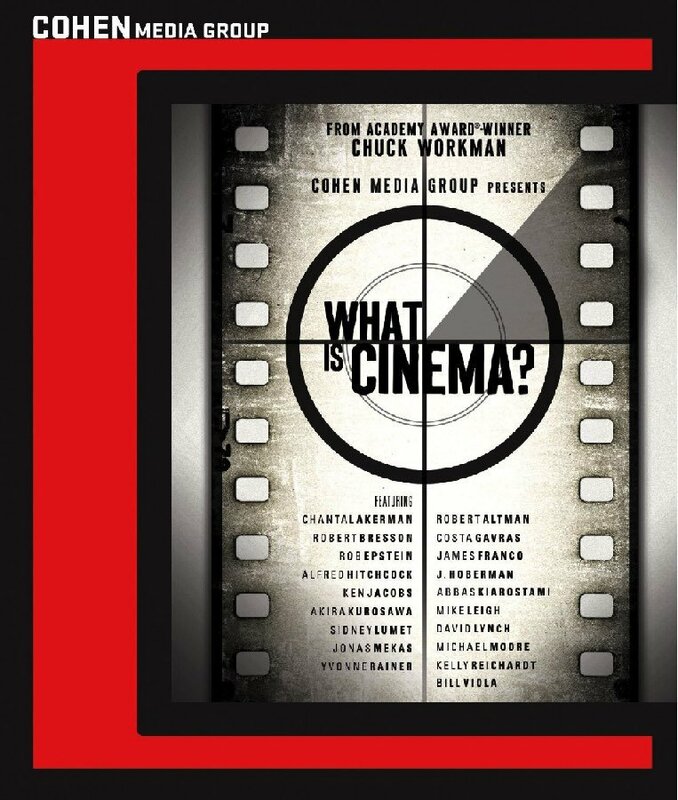 Academy Award-winning filmmaker Chuck Workman's documentary What Is Cinema? tackles the question of its title through over 100 clips and new interviews with Mike Leigh, Jonas Mekas, Yvonne Rainer, David Lynch, video artist Bill Viola, Robert Altman, Kelly Reichardt, Costa-Gavras, Ken Jacobs, Michael Moore, critic J. Hoberman, and others, and with archival interviews from Robert Bresson, Alfred Hitchcock, Chantal Akerman, Akira Kurosawa, Abbas Kiarostami, and more. The film also includes commissioned sequences from experimental artists Lewis Klahr and Phil Solomon. What Is Cinema? not only asks a poignant question, but chronicles the best of filmmaking today and proposes where cinema will go, and should go, in the future.